Increase efficiency of your evaporative coolers. High efficiency cooling, superior performance. Fast shipping, Competitive Pricing, Excellent Customer Service. Unique features, flame retardant materials. Cooling Media – Your Trusted Source for Munters® Original Replacement Media. 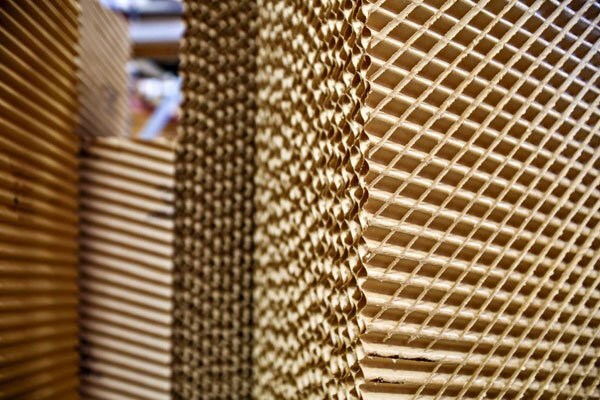 CELdek evaporative media is made from a specially engineered cellulose paper that is chemically treated to resist deterioration. Our cross fluted, unequal angle pad design promotes the highly turbulent mixing of air and water for optimum cooling and humidification. This unique design also functions to continually direct more water to the air entering face of the pad, where the most intense evaporation occurs. Aspen pad evaporative media is made from aspen fibers, held together in a pad form with a plastic netting. Aspen pads have a lower efficiency rating than cellulose media like CELdek or GLASdek. Aspen pads have been referred to over the years as cooling media, excelsior pads, evaporative cooler pads or swamp cooler pads. Aspen Pads are typically discarded and replaced annually, usually at the beginning of the cooling season. CELdek and GLASdek cooling media have become the media of choice for any evaporative cooling applications. CELdek and GLASdek have revolutionized the cooling efficiency and performance capabilities of evaporative cooling units. Our long history of high-volume purchasing gives us strong buying power and leads to a reduced cost for you. Browse our site to learn more about the features and benefits of CELdek and GLASdek cooling media, or request a quote for your next supply of the most efficient cooling media on the market today!